First of all, Happy New Year! I hope your holiday season was peaceful, joyful, adventurous, restful or whatever your heart desired most. I definitely needed family time and rest (hence my little absence from the blog), so Chris and I started off our holidays by visiting my parents and siblings in Colorado for Thanksgiving and then we visited Chris’s family in Charlottesville for Christmas. 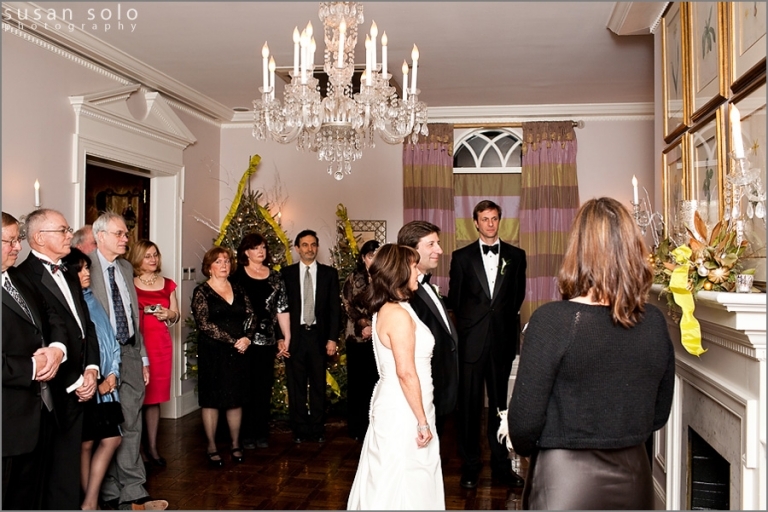 We spent New Year’s Eve with Margot and Jesse’s family and friends to celebrate their wedding! 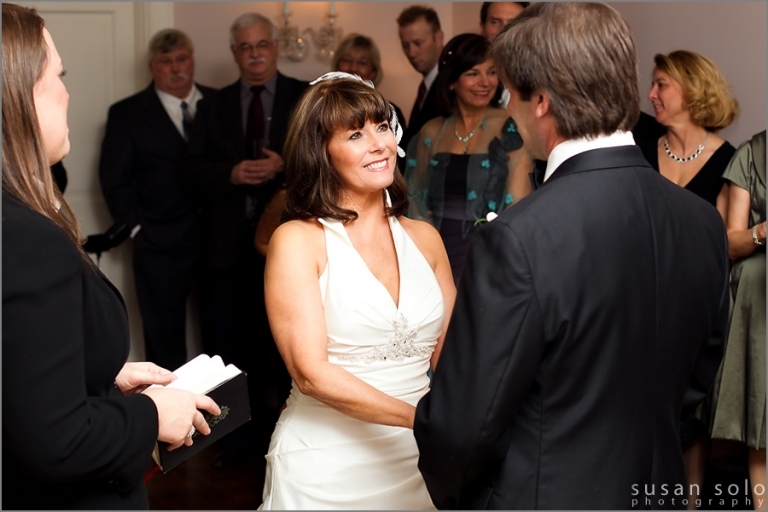 Now I know I said I was done with the 2010 wedding season, but when I received a call from Margot she just sounded so warm and friendly that I absolutely couldn’t resist. Besides, it sounded like such a fun way to ring in the New Year, and it was! 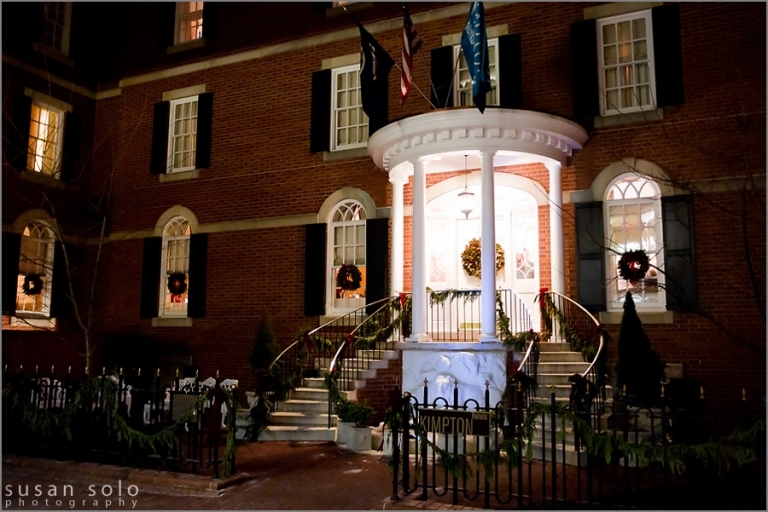 Margot and Jesse hosted an intimate wedding for their family and closest friends at Morrison House in Old Town Alexandria. All decked out in garland, wreaths and trees inside with twinkle lights, it had that wonderful cozy feeling of the holidays. Everyone gathered around in the parlor for the ceremony. I simply can’t resist taking a fun and festive ring shot! I love how they look at each other. 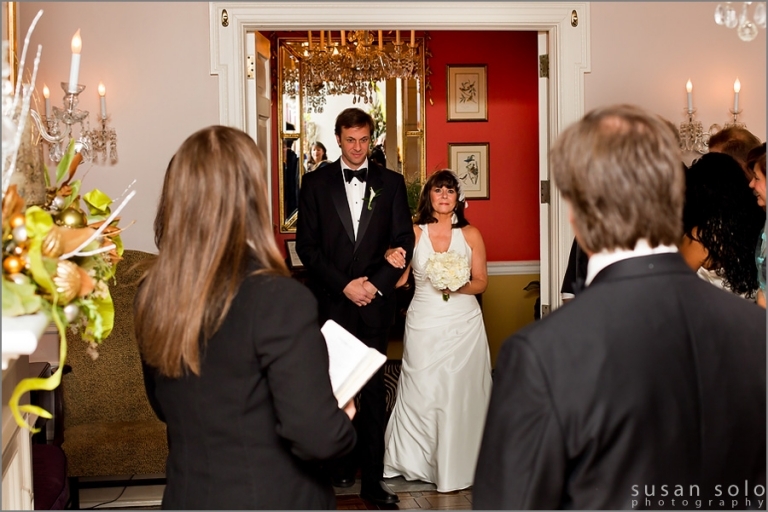 The reception began just right down the hall in one of the beautifully appointed dining rooms. And then shortly after dinner we returned to the parlor/library to cut this lovely (and very tasty) cake. And of course we toasted and counted down to the New Year! So congratulations Margot and Jesse! 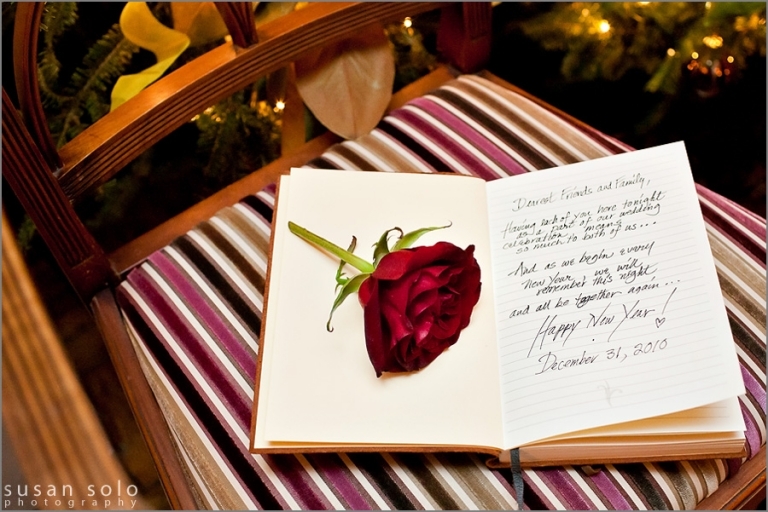 You really know how to start your brand new year off on the perfect note. Chris and I had such a fun time celebrating with you and photographing these moments, and we wish you all the best! Sarah Hodzic - Awesome Susan. I just shot a wedding there in December and it was so fun. The staff was super helpful and everything was lovely. Looks like this bride and groom had a wonderful time!